Mon-Thu 9:00 a.m. 5:00 p.m. There's an old saying: Notice how you've never seen a motorcycle parked outside a psychiatrist's office? That tells you a lot about how motorcycling makes you feel. And that holds especially true if you're talking about a machine like Honda's do-it-all CRF250L and CRF250L Rally. 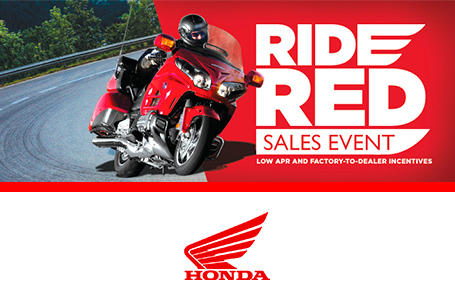 These are two bikes that fully embrace all that motorcycling has to offer, on- and off-road. They're light, simple, and a blast to ride. And they're also extraordinarily practical: rugged, narrow, minimalistic, built to survive everything from barren desert to your weekday commute. Both use the same proven engine: a liquid-cooled fuel-injected single cylinder with electric starting. Both offer some pretty awesome fuel economy. Long-travel suspension front and rear is designed to soak up the bumps and rocks trail riding can toss your way, so you know it's going to handle the lousy pavement you'll encounter. Both are even available with optional ABS. 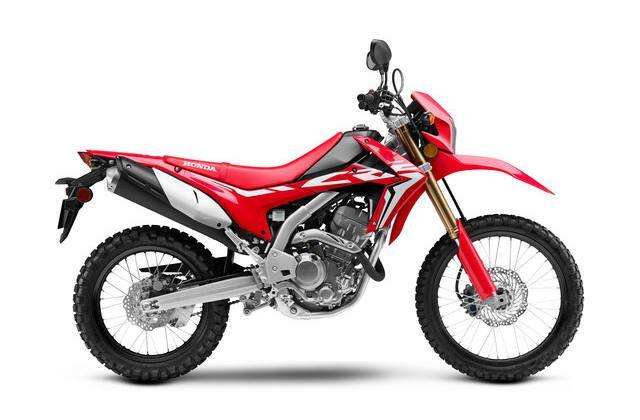 Pro-Link® Rear Suspension: Thanks to our single-shock Pro-Link rear suspension, the CRF250L models deliver excellent comfort, traction and handling, while also improving rider confidence. The Rally's suspension front and rear offers more travel and greater ground clearance. Passenger Ready: With its long seat and fold-up frame-mounted passenger footpegs, each CRF250L model is fully equipped to carry a passenger so you can share the fun. Digital Instrumentation: The CRF250L's digital instrument cluster is integrated with the headlight visor, and gives you all the information you need: Speedometer, clock, twin tripmeter, fuel gauge, and more. The CRF250L Rally's digital instrument cluster tucks in behind the rally-style windscreen, just like the big Dakar bikes. Rally-Bike Styling: The tall windscreen, the extra-coverage fairing and side panels, the blended, frame-mounted bodywork are all marks of a true rally machine. The 2019 CRF250L Rally looks great, but you'll appreciate the extra wind- and weather protection too. Mon-Thu: 9:00 a.m. - 5:00 p.m.